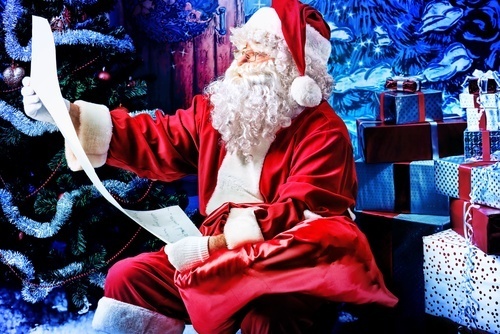 You are here: Home » Blogging » What to Ask Santa For — A Downpayment! You’ve been saving for a downpayment and you’re almost there. You just need a little more money in that account and you can make an offer on your starter Loft. Now, your parents and grandparents want to give you a gift of money toward your new Loft. Gifts for downpayments can come from a variety of sources. Mortgage lenders will let you use a cash gift toward a plethora of loan options as well. These include FHA loans, VA loans (which only need a down payment if they exceed the threshold), USDA loans, conventional loans and even jumbo loans. In fact, affording a twenty percent downpayment puts you in position for a conventional loan backed by the Federal National Mortgage Association (Fannie Mae) or Federal Home Loan Mortgage Corporation (Freddie Mac), potentially saving you money over the life of your loan. Before you ask Santa for that gift, however, you need to understand how it should be wrapped! If not done properly, you might just end up with a lump of coal in your pocket. Here’s the skinny of how it works. When you accept a downpayment gift, you cannot just deposit it into your bank account and co-mingle it with the funds you have there. You need to follow the required process for documenting the gift so that your loan isn’t denied. Don’t add anything extra to your gift letter either. Make it simple and strait forward. With the check in hand, take it to your bank (the same bank your other downpayment money is in) and deposit that check alone (nothing else in the transaction) into the account. If you receive more than one gift, deposit each one separately and get a separate receipt for it. When applying for your loan, give copies of the gift letters along with copies of the checks and deposit receipts to the underwriter. Your underwriter will use the letters in the effort to get your loan approved and funded. One side note: there may be tax implications for both the givers and receivers of financial gifts. Be sure to check with your tax advisor if you have questions or to find out how a gift might affect your situation.